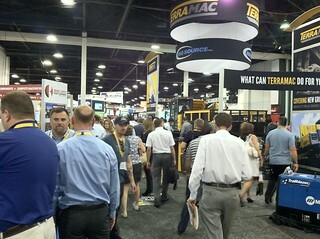 Thank you to everyone who made the 2012 MINExpo International a huge success last week! We had continuous traffic throughout all three days with visitors looking at the new Terramac RT9 crawler carrier or checking availability or our core drilling rigs. The Terramac rubber track carrier sparked an interest, primarily because of its versatility. The RT9 was showcased specifically with a water tank and a crane mounted on the back to show a couple of the custom options available. When asked, visitors at the booth seemed most impressed with: 1) The ability to customize the carrier to accommodate a large variety of markets and applications. 2) How well the machine is built, with quality and safety in mind. 3) The availability of the North American built crawler carrier. Representatives spoke with many OEM’s considering the placement of their products on the Terramac RT9. International attendees from the UK were interested in the Terramac RT9 to utilize mounting tippers (or dumpers as they are called in the states) to the back of the carrier. Many international dealers are looking at distributing Terramac around the world to countries including: Russia, Australia, Netherlands, South America, Canada and more. Several made plans to visit and learn more about the opportunities. 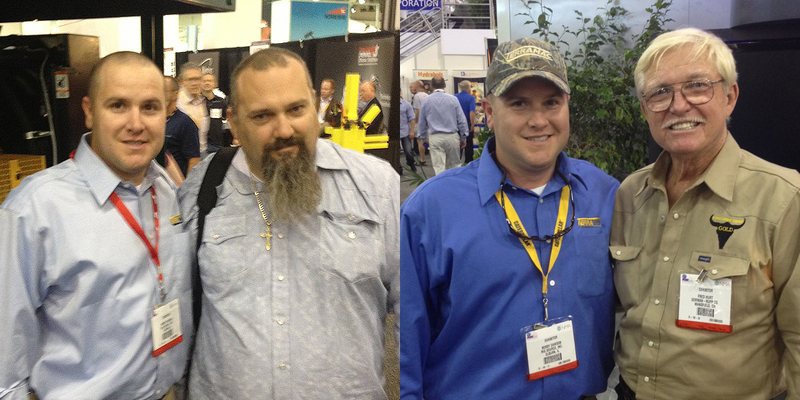 One of the highlights of the show was meeting the stars of Gold Rush on Discovery Channel. Sales Representative, Bobby Dawson chatted with both Fred Hurt (Dakota Fred) and Todd Hoffman. Interestingly enough, Dakota Fred said he’d be interested in learning more about how he could customize a Terramac RT9 and apply it to his business. Thanks again to everyone who made it out this year to see us. We can’t wait for MINExpo 2016! Hope to see you there. Again, if you were unable to attend the MINExpo or stop by our booth, please feel free to contact us anytime to find out more about the versatility of the Terramac RT9 rubber track crawler carrier. Call 630-365-1649 or email us.